As we all know, Kelsey Merritt and her swimmer BF Conor Dwyer spent New Year's Eve together, and they've been present for a number of important moments in each other's lives such as Kelsey's Victoria's Secret Fashion Show afterparty and Conor's various swimming competitions in 2018. He even commented "mahal kita" on one of their photos! 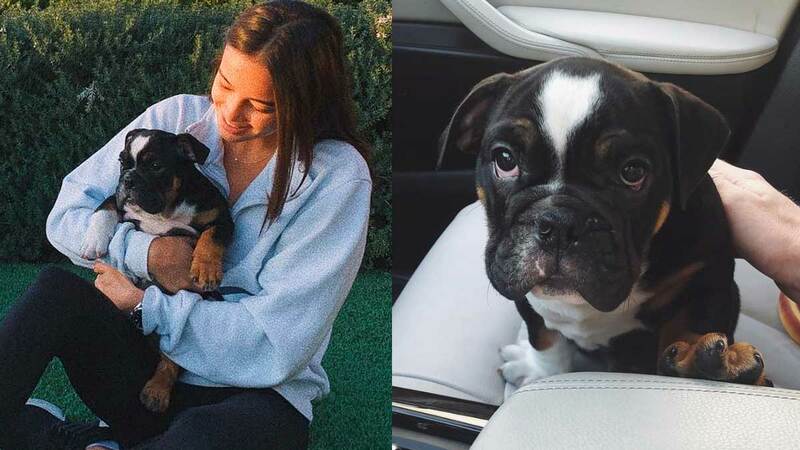 It's 2019, and we couldn't be happier for them because Kelsey and Conor are now the proud new parents to an 11-week-old English bulldog named Pablocito! Puppers like Pablocito are usually muscular, hefty dogs with wrinkled faces and distinctive pushed-in noses. Look, isn't he just adorable?!!! ICYDK, Poblacito was Kelsey's Christmas present to Conor! The couple wasted no time creating an Insta account for him and so far, we've seen Pablocito sunbathing, enjoying a car ride, and going shopping. We're totally in love with him already. Now, all we need is a complete family pic! ~*Congratulations*~, Kelsey and Conor!